The dates of NFP Awareness Week highlight the 50th anniversary of the encyclical Humanae Vitae (July 25) from Pope Paul VI and the feast of Saints Joachim and Anne (July 26). Santa Ana FertilityCare Center joins with the bishops in highlighting the need to promote the blessings of children and the harms from contraception. 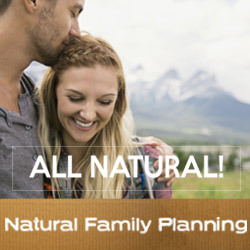 Married couples who use NFP and SPICE report many benefits including: better communication between spouses, increased patience, increased emotional maturity, deeper understanding of each other’s bodies, and growth in respect for God’s gift of fertility.